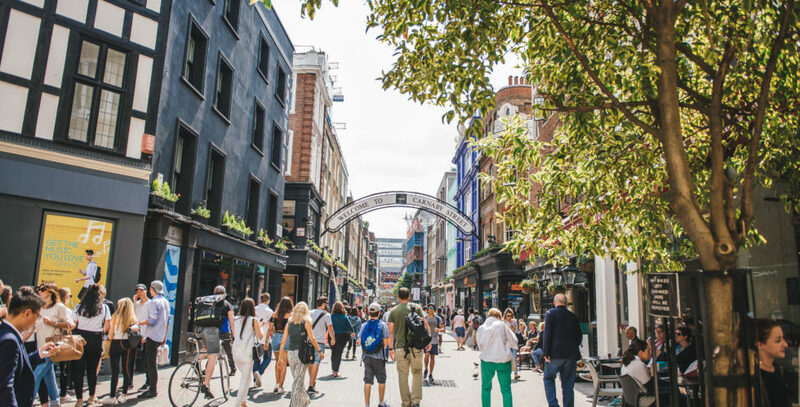 In our on-going quest to find out more about the businesses using a Dot London web address, we found a great mix in one of the capital’s most thriving areas, Soho. From co-working spaces to creative agencies, all types of businesses are proudly using London’s domain name to shout about where they are based. The team at flexible co-working space Air Space focus on crafting well-designed office spaces from well-located dormant buildings so you can enjoy setting up your business in the heart of London. They take space on a short term basis in pre-development buildings, keeping occupancy costs low and as they create their own furniture they have a totally bespoke and affordable space for you to grow your business in. Borderline is one of Soho’s most iconic music venues, hosting intimate gigs performed by the world’s most famous musicians for over 30 years, including Debbie Harry, Blur, Counting Crows, The 1975 and many more. Following The Borderline’s extensive refurbishment in 2017, it has entered its next chapter with an upgraded sound system and re-vamped décor, ready for the next big music act to play on its stage. George & Dragon is an independent advertising agency with the unique advantage of having in-house consumer research, media strategy and production teams. They help “grow” brands that look, feel and behave in a joined-up way. Their ever-growing client list is nicely varied, ranging from governmental departments to recognisable brands, such as Onken, Kwikfit and Scope. Situated in a stripped back dining room, Pastaio is a colourful, contemporary open spaced restaurant with three big share tables, great music and a fun drinks offer. Launched by renowned chef and restaurateur Stevie Parle, they use top notch British produce to create great value, simple original pasta dishes. If you’re looking for tasty comfort food while in Soho, Pastaio is the place for you. Based on Berwick Street, The Watch House is made up of 12 boutique apartments situated in the centre of Soho. Each apartment is unique in size, design and specification and 10 of them include private terraces overlooking one of London’s most eclectic areas.